I have a love for simple bean salads. They’re quick & easy, they’re delicious, and they’re healthy. So here’s a frame recipe with ideas for variations. The full recipe is below the photos. 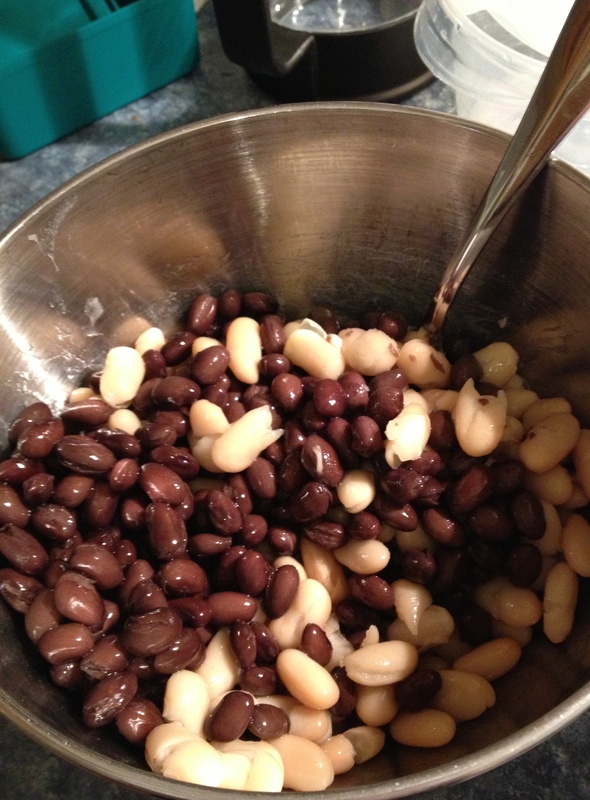 First, drain and rinse two cans of beans and mix them in a bowl. 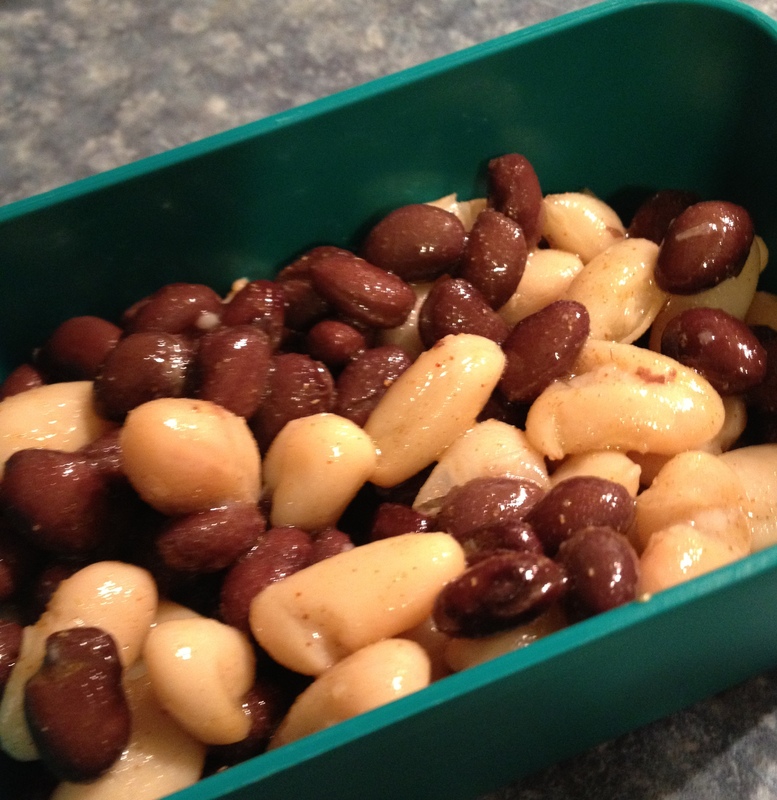 I like to do two different varieties (garbanzos, cannelini, kidney, black…). Optionally, add up to a cup of chopped celery, bell pepper, or vegetable of your choice. 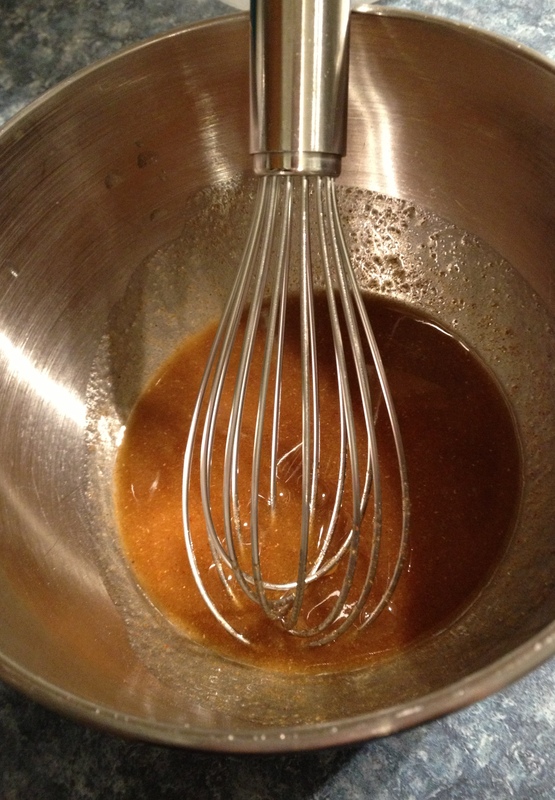 Next, make a dressing from vinegar, lemon juice, olive oil, and seasonings. Use nearly any vinegar you like—I’ve tried sherry, white wine, red wine, and rice vinegar all to good effect. Finally, pour the dressing over the beans and stir well. Whisk well, until salt is dissolved in. Pour over beans and stir well. The salad is even better the next day, after the flavors have had some time to blend together. You didn’t mention the version you made when I visited, with one teaspoon each cumin, coriander, and thyme. Also: I’ve been making a double recipe, but with small pasta shells for half the volume. Instead of boiling the pasta on the stovetop, I nuke it so I can use the liquid drained from the beans. The shells are the perfect size to go with the beans, in my opinion. Aha! Thank you for reminding me of that one, Bev. Also, the pasta variant sounds yummy!